This weekend wrapped up arcade show AOU 2009 in Chiba, Japan. The event was held at the Makuhari Messe, home of the Tokyo Game Show. 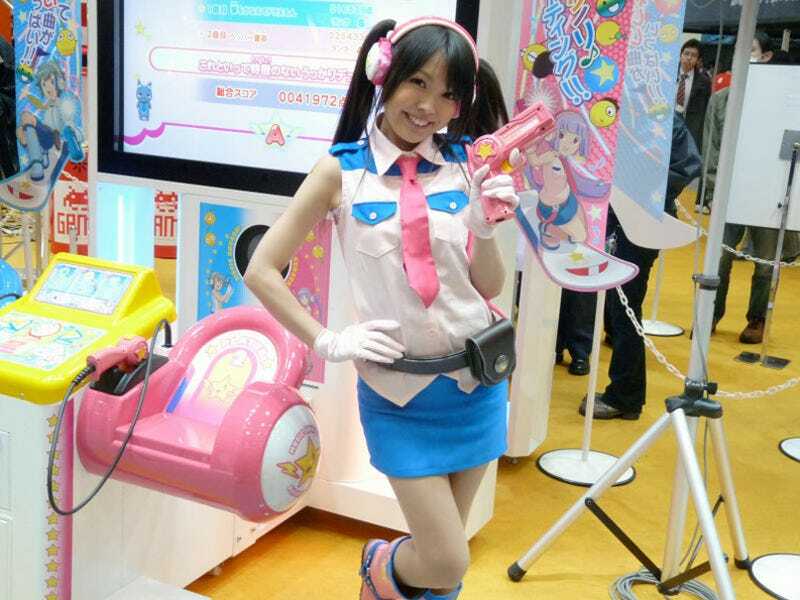 Besides arcade games, the event featured cosplaying booth companions. Bonus points for those who can spot retro gaming idol Haruna Anno and gravure idol Shiori Kawana!